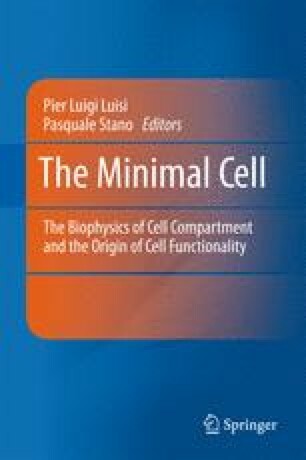 The so-called Ribocell (ribozymes-based cell) is a theoretical cellular model that has been proposed some years ago as a possible minimal cell prototype. It consists in a self-replicating minimum RNA genome coupled with a self-reproducing lipid vesicle compartment. This model assumes the existence of two hypothetical ribozymes one able to catalyze the conversion of molecular precursors into lipids and the second one able to replicate RNA strands. Therefore, in an environment rich both of lipid precursors and activated nucleotides, the ribocell can self-reproduce if the genome self-replication and the compartment self-reproduction mechanisms are somehow synchronized. The aim of this contribution is to explore the feasibility of this model with in silico simulations using kinetic parameters available in literature.